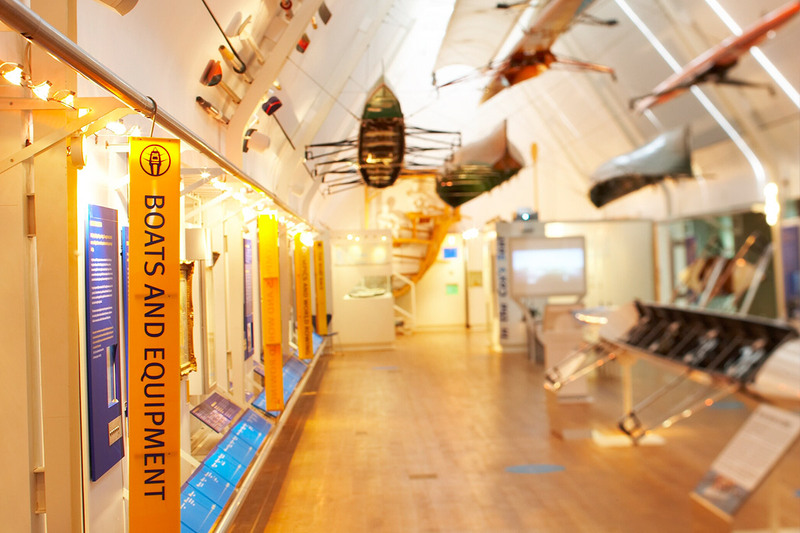 The Rowing Gallery at Henley’s River and Rowing Museum (RRM). Picture: RRM. Tim Koch is selling a day return ticket to Henley-on-Thames. Oops!…They Did It Again as the popular recording artist, Britney Spears, almost sang. 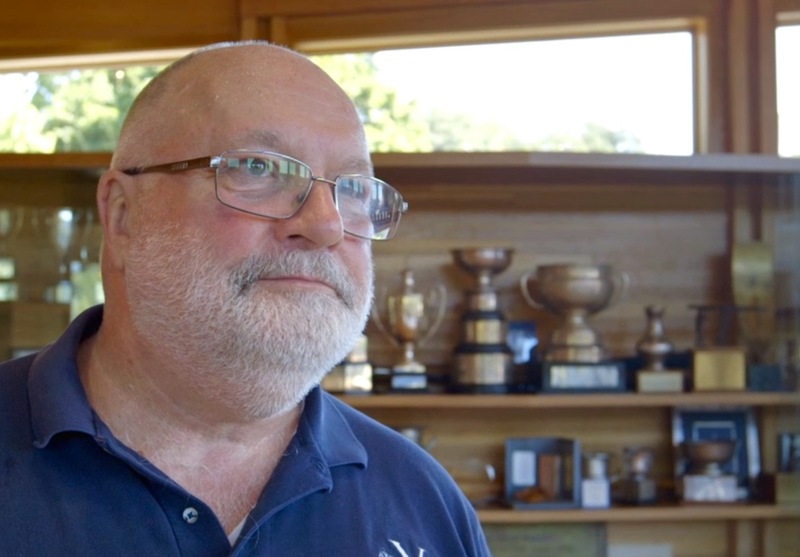 I recently posted a piece titled “Putting Rowing Back Into The RRM” in which I noted the upbeat interview that the new Director of Henley’s River and Rowing Museum, Dr Sarah Posey, recently gave to the Henley Standard newspaper. I was particularly pleased with her saying that she wanted ‘to make rowing as a subject more accessible’, particularly as I felt that her predecessor had marginalised the ‘rowing’ aspect of the RRM. As evidence that rowing history is back on the agenda at the museum, I gave details of two events planned for October that would particularly appeal to HTBS Types, both a ‘talk and tour’ under the generic title, Hidden Histories. One, on the 17 October, was to be on the Doggett’s Coat and Badge, the other, on 29 October, was called Stories of Rowing: Explore some of the highlights of the Thomas E. Weil collection. 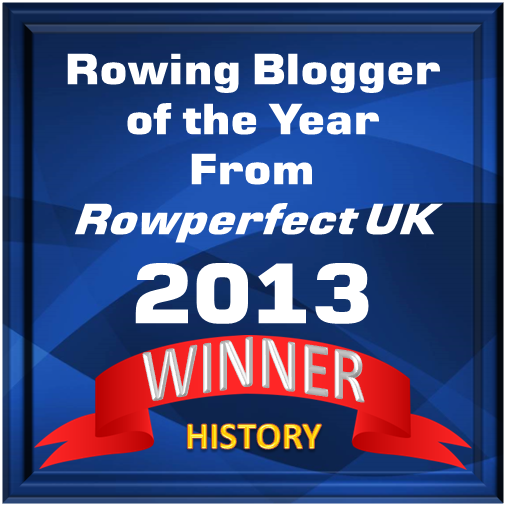 Unfortunately, the Doggett’s talk was cancelled at short notice by an announcement on @river_rowing. Now the Stories talk has also been called off – though this information has not been put on the museum’s Twitter account, and the homepage of rrm.co.uk gives the impression that the event is still on. An exhibition of Tom Weil’s Treasures that was not cancelled. Sadly, for most of us, it was held in Washington, D.C., in 1990. 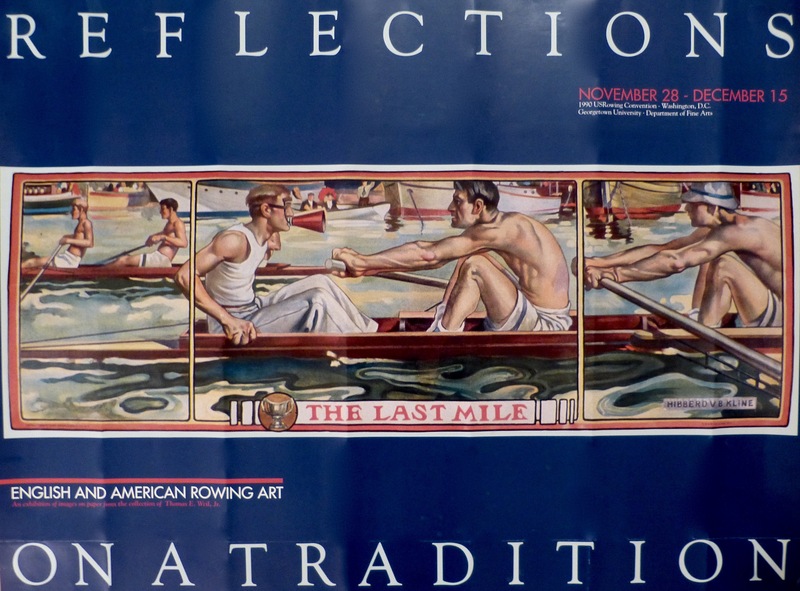 For those disappointed by the Stories of Rowing cancellation, there follows a small and random selection from the extensive Thomas E. Weil Collection. 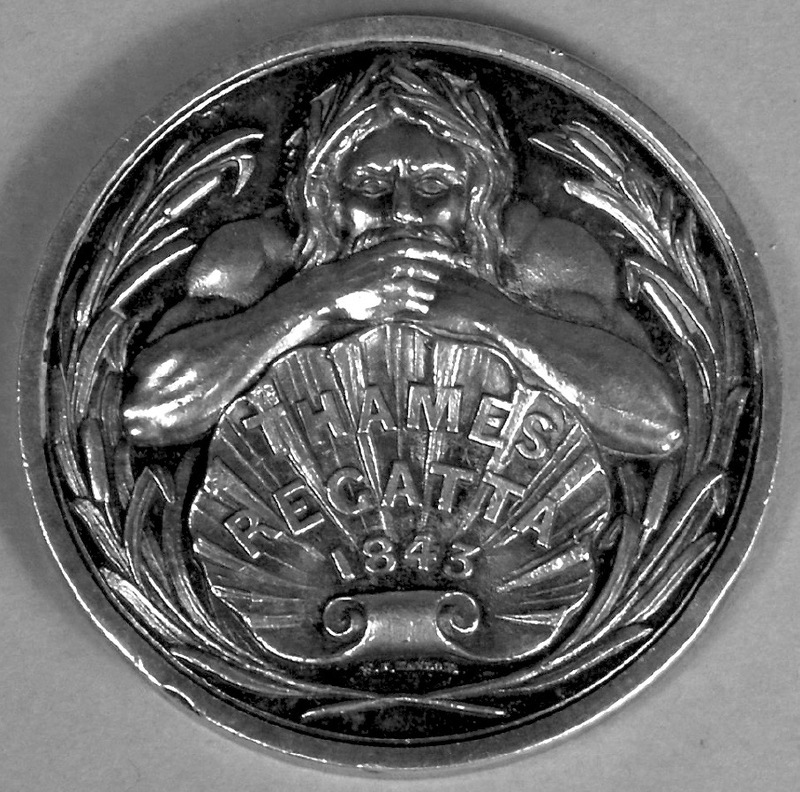 A Thames Regatta medal from 1843. 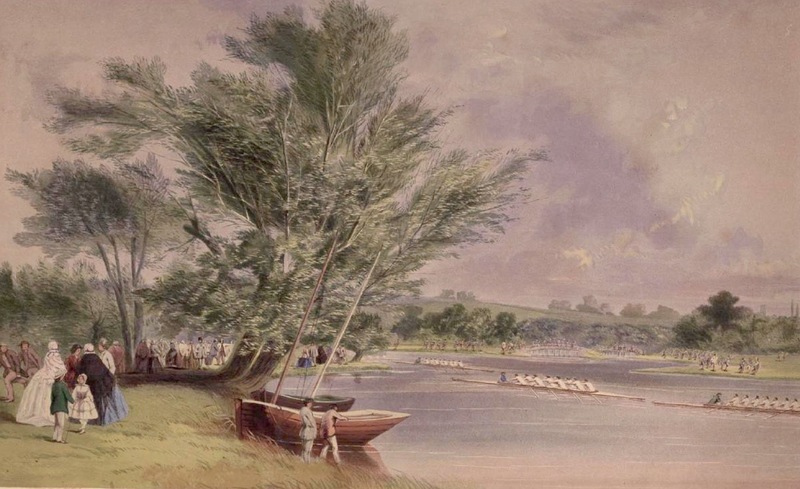 ‘The Race’, an 1859 lithograph by Vincent Brooks showing boat racing at Oxford. A bronze plaque of W.A.L. 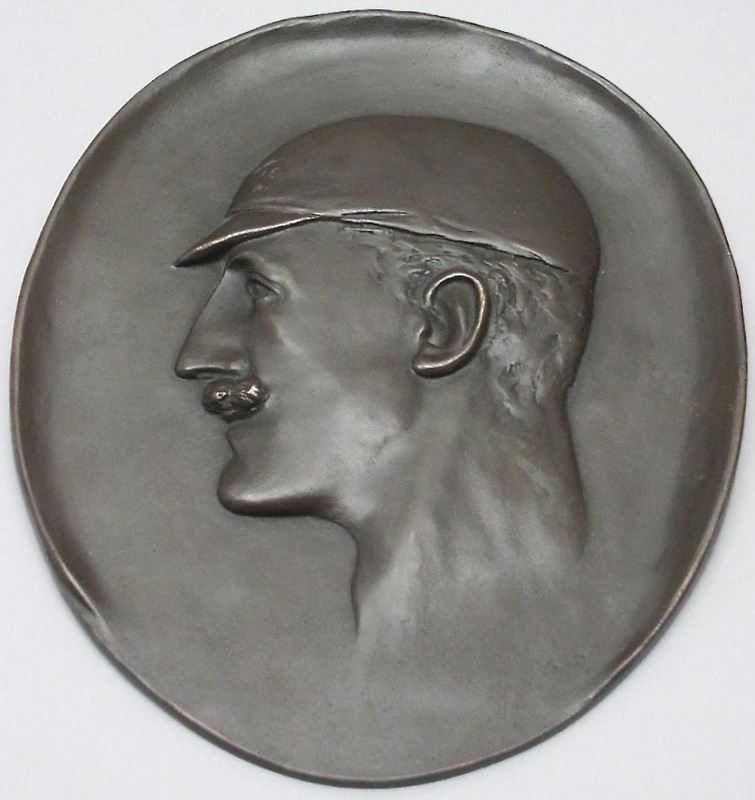 Fletcher by George Drinkwater, c.1915. 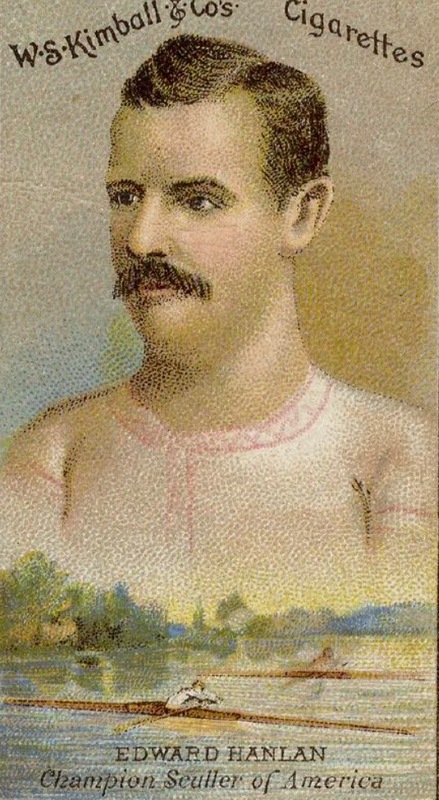 A cigarette card of 1888 titled ‘Edward Hanlan – Champion Sculler of America’. 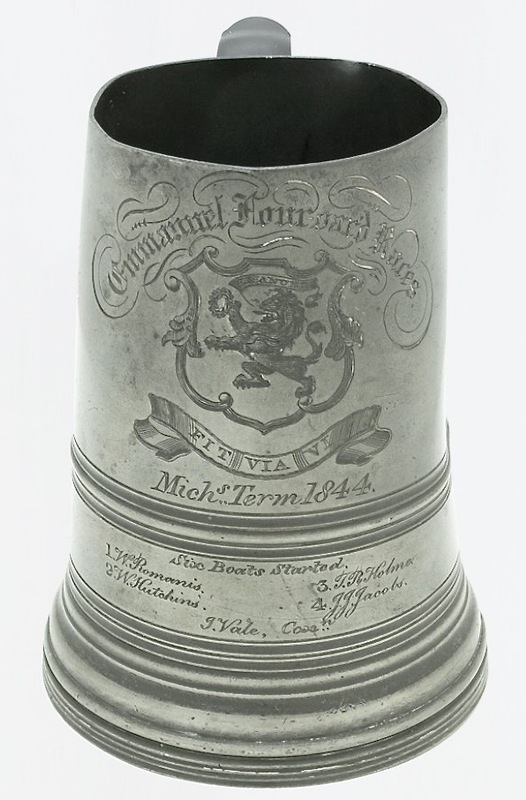 A tankard prize from 1844 for the Emmanuel College, Cambridge, Four-oared Races. 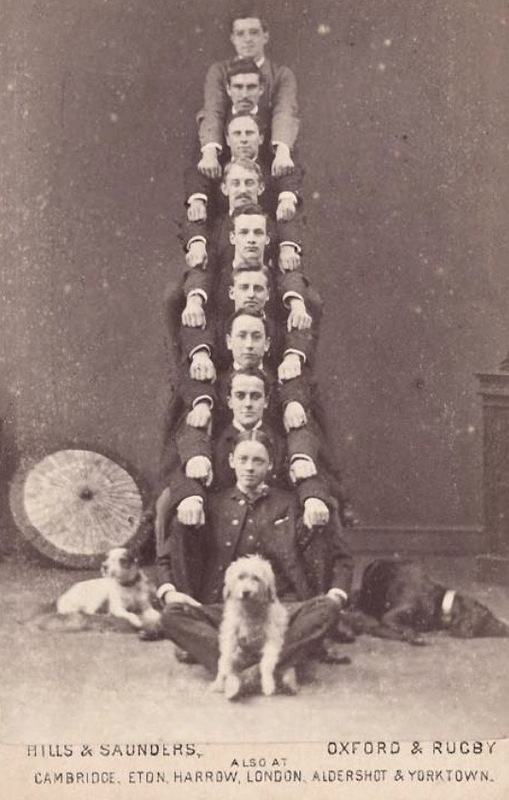 A carte de visite albumen photograph of the 1882 Oxford Crew. 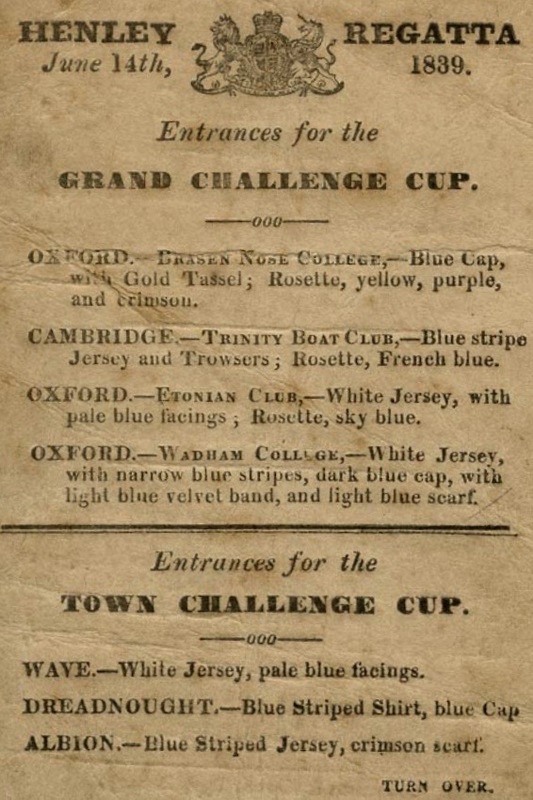 A Henley programme from the first regatta in 1839. Anyone unfamiliar with Tom and his generosity should read the 2008 interview with him by row2k.com. Unfortunately, Mystic Seaport Museum mentioned in the interview no longer houses any rowing artefacts. For those who would like to see more, in Tom’s book, Beauty and the Boats: Art & Artistry in early British Rowing, he selects favourite images from his collection. It is available from the RRM bookshop.